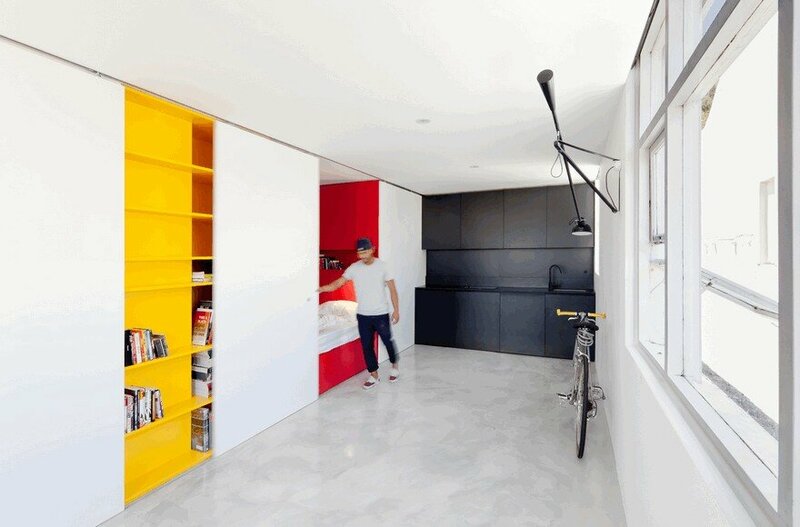 The redesign of a 27sqm studio apartment in Sydney’s, Woolloomooloo. 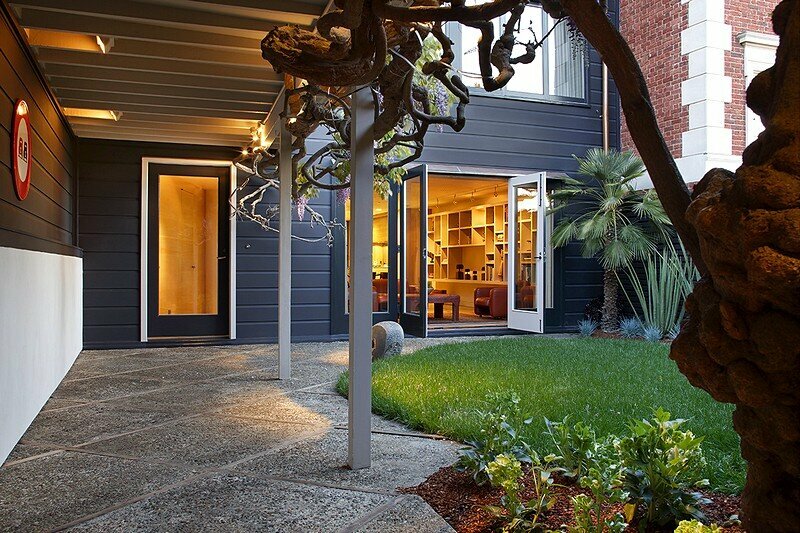 The project is an exercise in modest, low cost, good quality design that can be afforded. The one-room apartment offers a proposal for future high-density urban living for one person families; the fastest growing demographic. 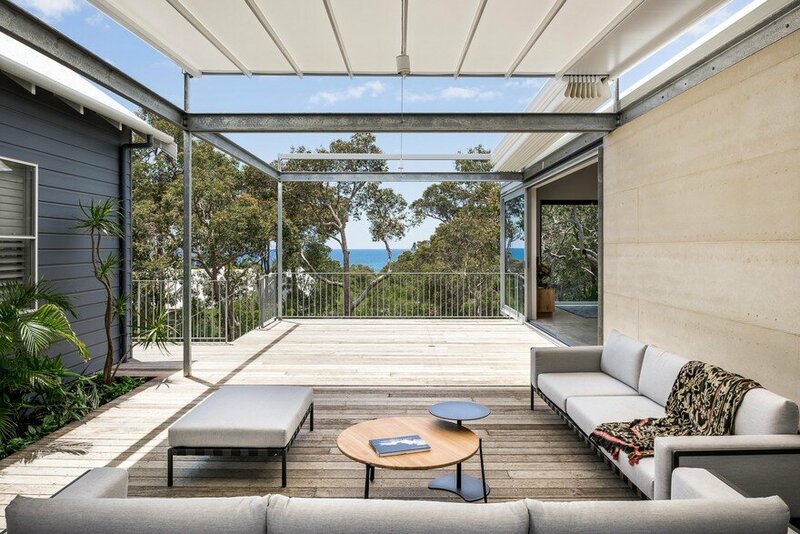 With a budget of less than $40k and a four week window for construction, the client simply requested a flexible canvas for daily living. 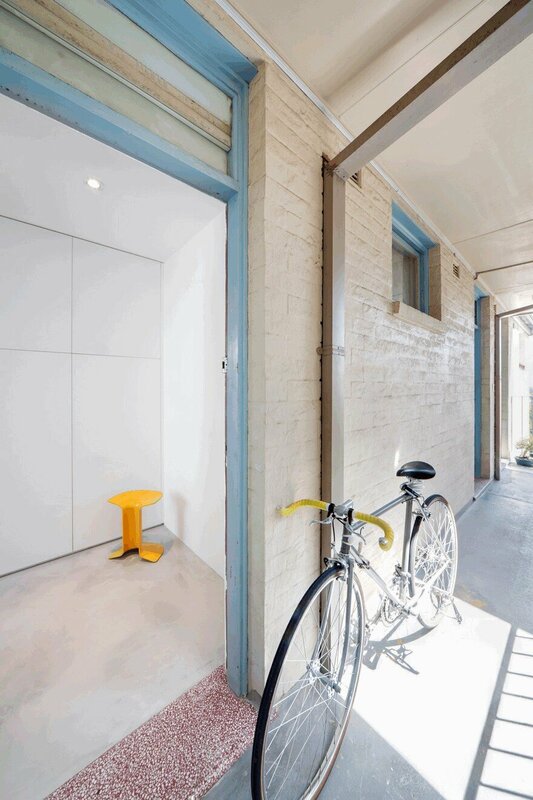 To conserve space, light and the city skyline outlook, a joinery pod was inserted to address issues of privacy, storage and a lack of living space inherent in apartments this size. The pod utilises full height, wall-to-wall sliding doors and accommodates an entry foyer, storage, equipment, washing and sleeping zones. 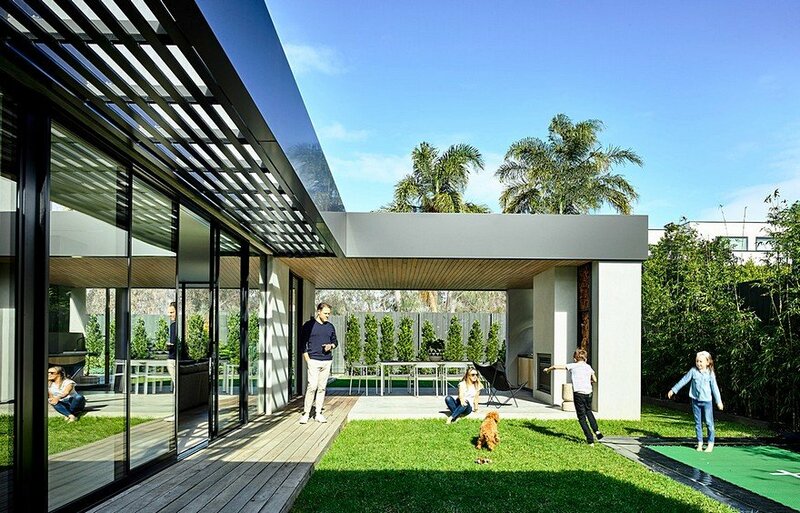 The location, size and movement of the sliding doors allow for a single zone in the home to be utilised at any one time. 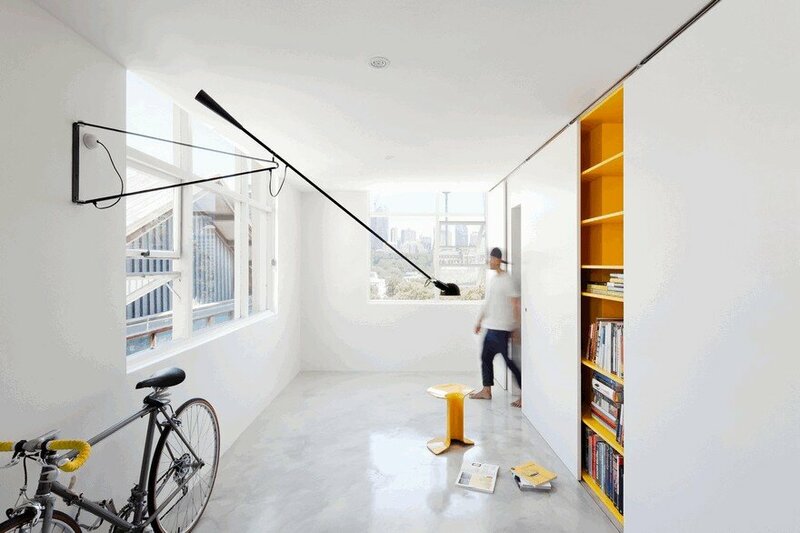 The micro apartment functions as either a bedroom or a living / dining space as required. 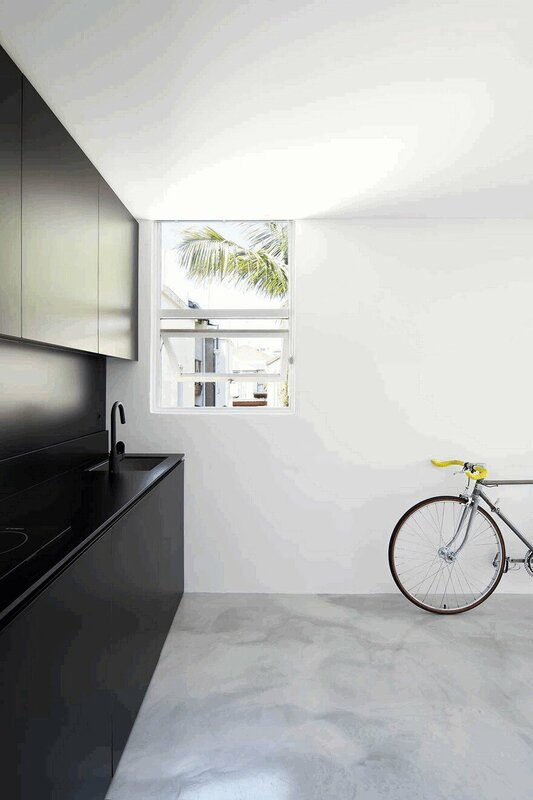 This informed the design of the matte black kitchen block which appears only as an extension of the pod. The colour palette of black, yellow and red is borrowed from the tiny fictional character Mighty Mouse and is used to demarcate space. It was required that, much like Mighty Mouse, the apartment punch well above its size. 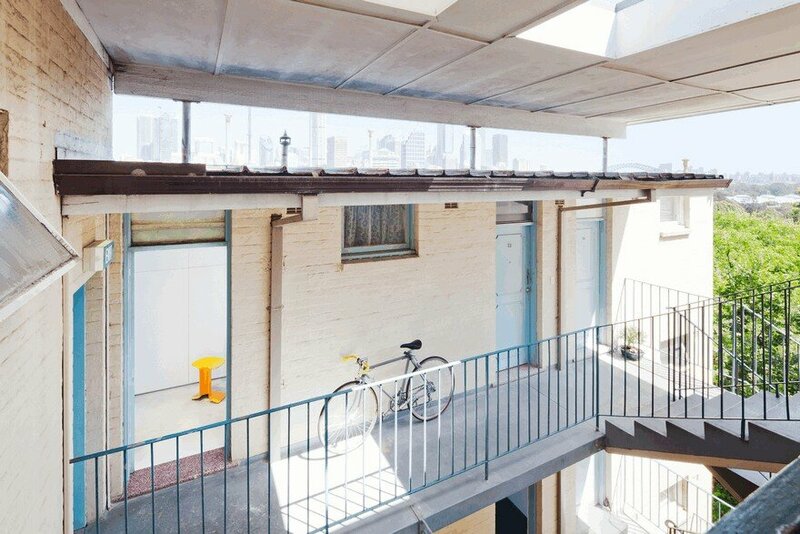 Through innovation, this one-room apartment directly responds to issues surrounding affordability and social sustainability. The project is firstly an exercise in modest, low cost, good quality design that can be afforded. 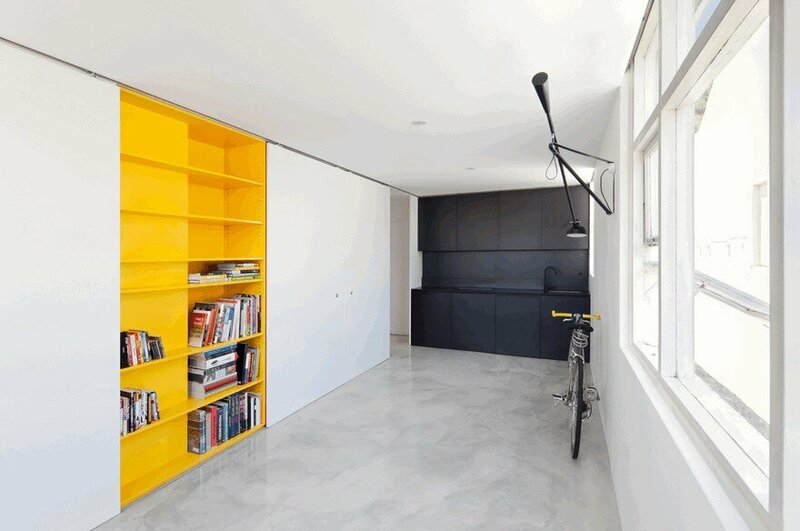 Contextually, the employment of a melamine joinery element facilitated an affordable outcome. 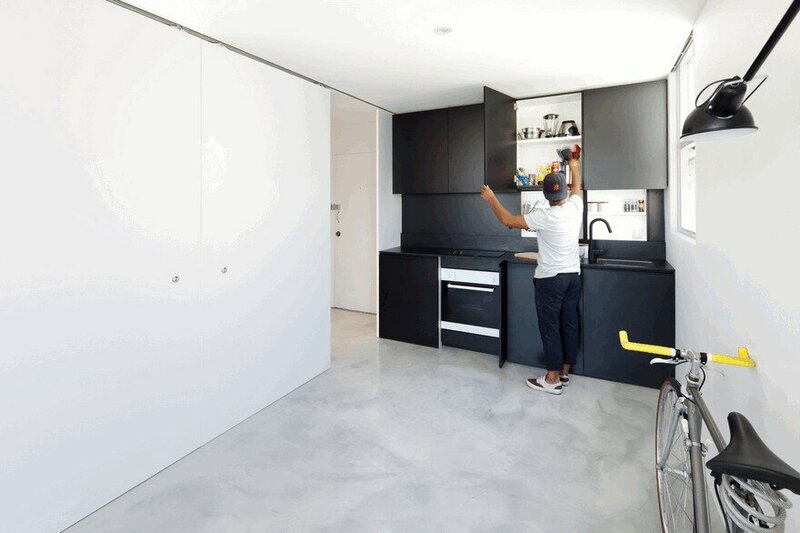 The single, built element contains the workings of the entire apartment in less than half the footprint and negates the need for items such as conventional furniture pieces. 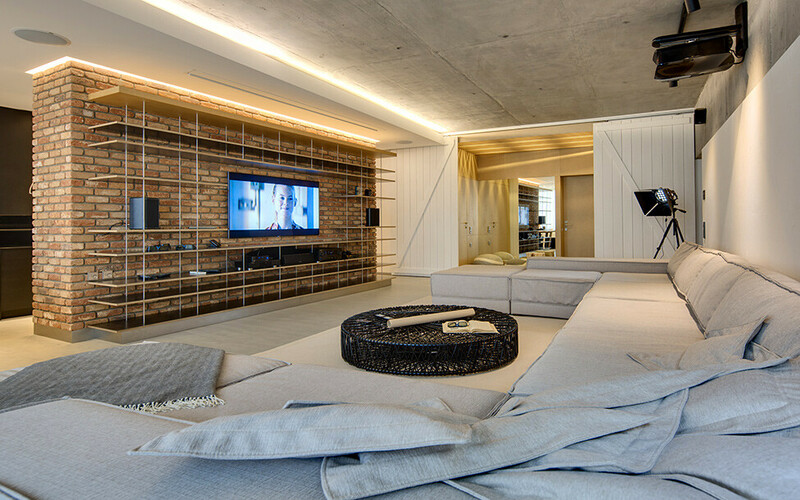 Cleverly and to completely eliminate waste in the production of the joinery, the ceiling height was reduced to 2.4 metres. As a result, individual components of the pod, including the doors are constructed from a full sheet of melamine. Evidently, a significant reduction in the cost, energy and time in production was enabled. Secondly, the project offers a proposal for future high-density urban living for one person families. 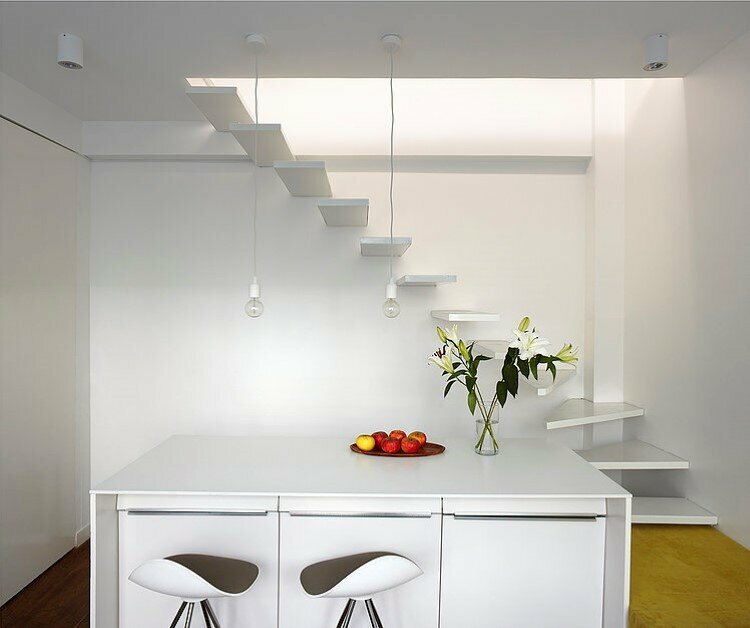 Individuals are now, perhaps more than ever, permanently residing in small apartments. 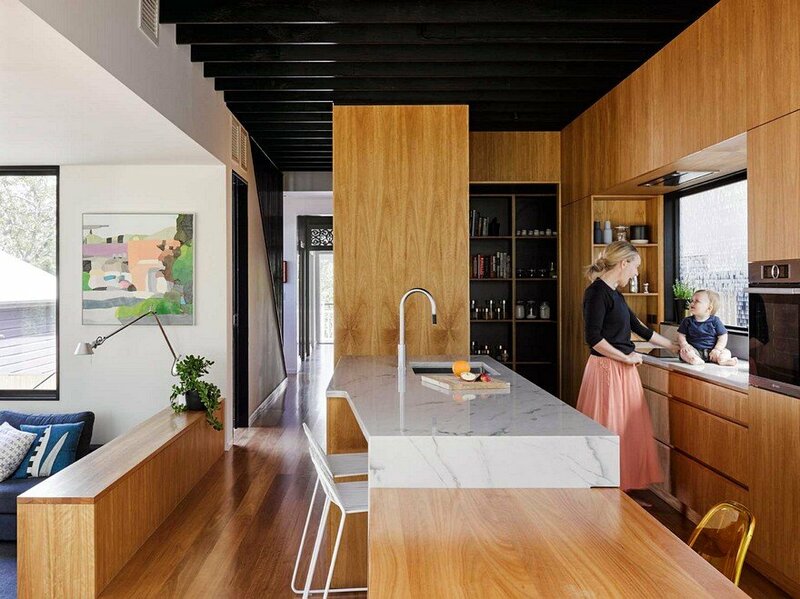 The design confidently dispels conventional notions surrounding small space living, provides considerable quality of life and heightened property value, both in existing and future typologies.